Connecting your appliance to the source piping must always be done with utmost safety in mind. This is why it is important to bank only on quality accessories and equipment. 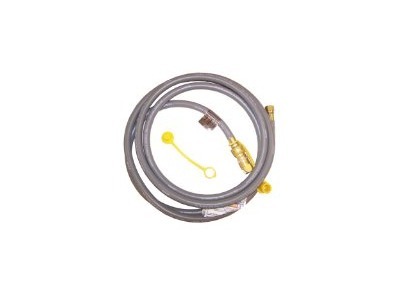 This 3/8" natural gas grill hose will connect your portable natural gas appliance to the intended source piping swiftly and safely. This grill accessory is designed for outdoor use, ideally placed on decks and patios. With its quick-connect fitting, connecting and disconnecting your grill to the source line will be a breeze. This flexible and high-capacity hose can be used both for large and small grills. 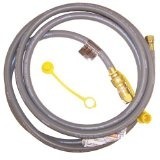 In addition, this hose is 10 feet long and is designed with fully interlocking metal core with crimped-on end fittings. Weather-proof and heat-resistant to up to 240-degrees, this connector is a must-have!